from sketch to final inspection, every effort is made to ensure a quality product is produced. thorough research was done prior filing for a United States Provisional patent, 60207-us. the designs are entered into auto-cad then cut out on the plasma table. the face plates, target plates, and reset bars are then cleaned of the rough edges, and washed to prepare for painting or retain natural finish. Wood is carefully selected and currently consists of premium cut pine. Rustoleum brand spray paint is used for its cost effectiveness and widespread availability. field testing is done with each model to ensure it handles the force to which it is rated. Flawless function with 0.140” thick target plates. The original hinges, not meant for 180 foot pounds. The 0.187” thick plates handled just fine. 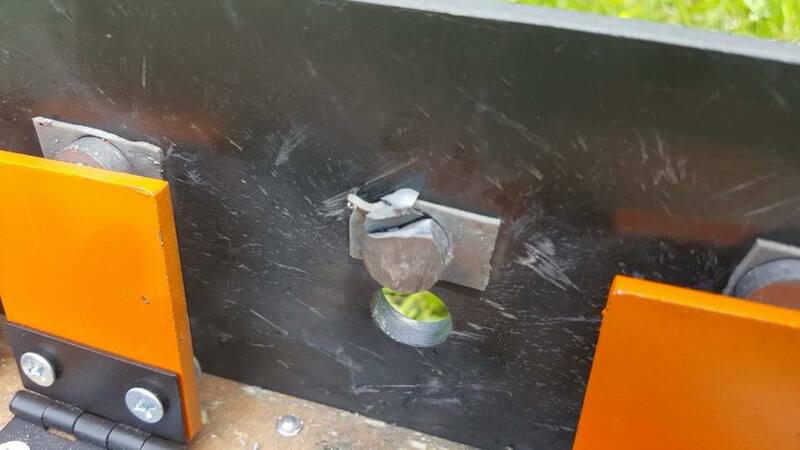 65 foot pounds of energy of a 34 grain high sectional density round shot directly in front of the magnet from 25 yards. The force is too direct for the ceramic (ferrite) magnet. It cracks as shown. 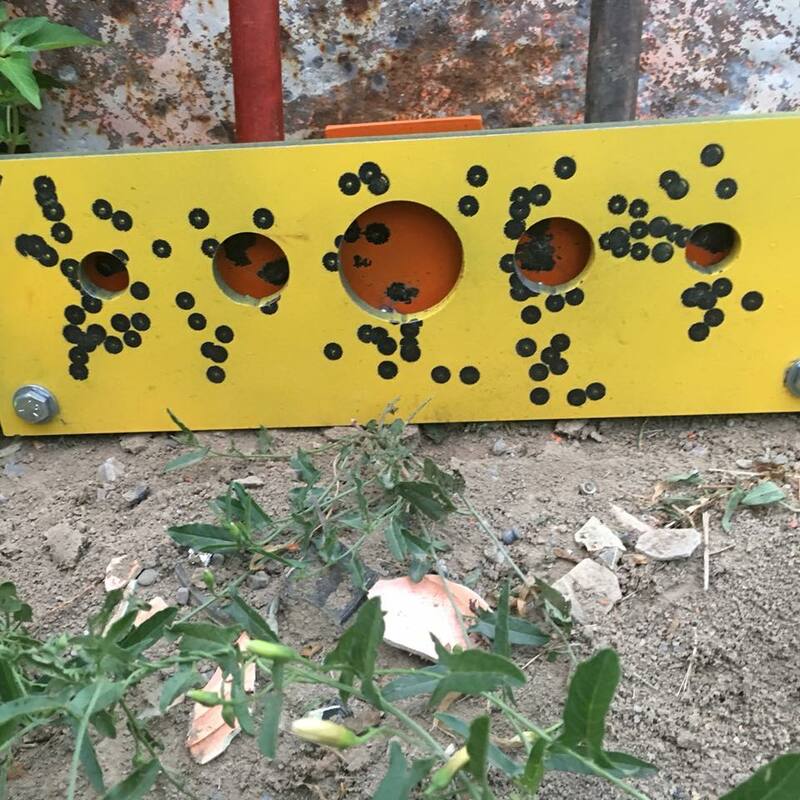 The Quarter inch thick A36 structural steel face plate completely capable of handling high power, big bore airguns.